Congenital clubfoot is a common and pediatric foot deformity. The feet get twisted inwards and downwards at the ankles in such a way that the ankle or side of the foot comes in contact with the ground while walking instead of the sole of the foot. It is twice as common in males as in females. 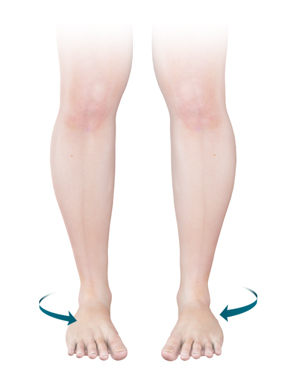 The leg and foot may be smaller, and calves less developed than normal.